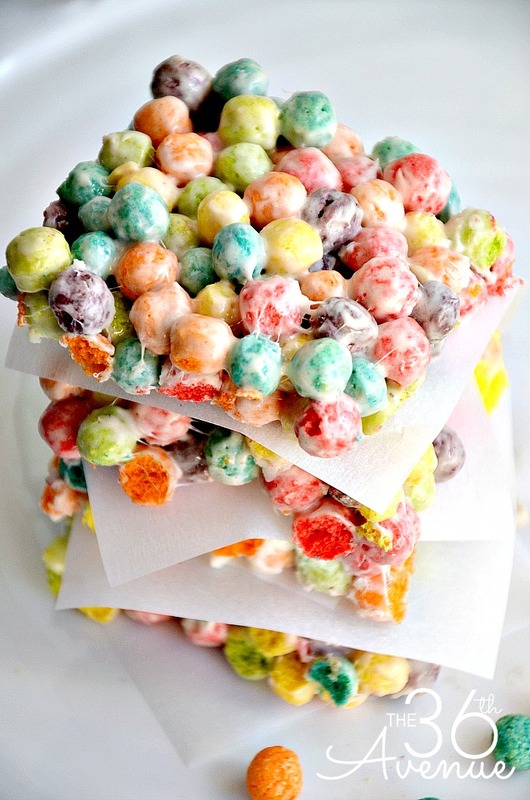 These easy, yummy, fun, colorful, and delicious Trix Krispies White Chocolate Bars are always a kid favorite! They are ready in 10 minutes and they are perfect for birthday parties, St. Patrick’s Day, Easter, or as an everyday treat! 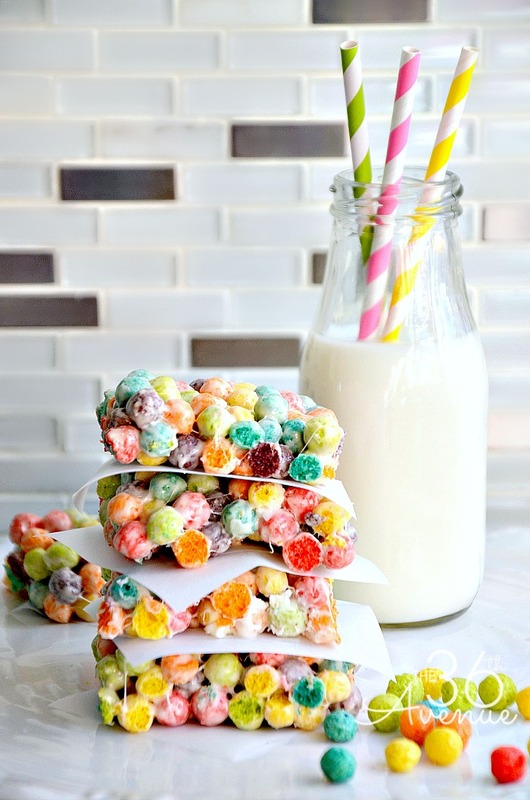 All you need is five ingredients and you’ll be ready to go… It’s like Rice Krispies with an explosive fruity delicious flavor! 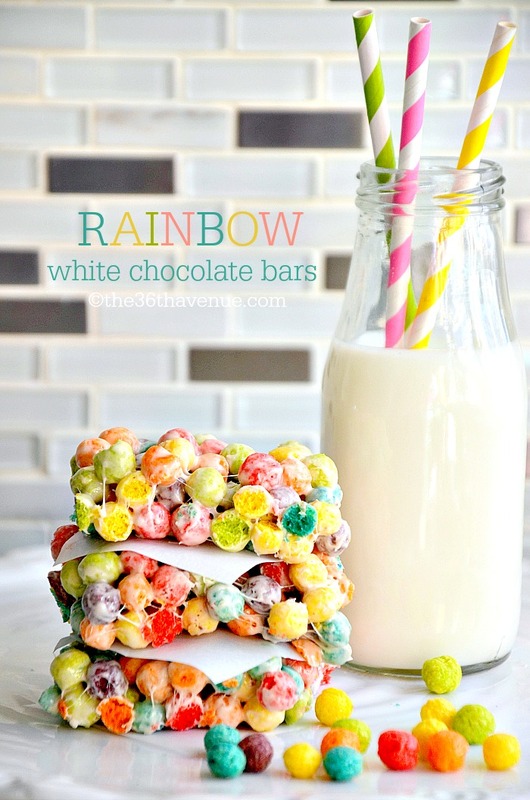 Thank goodness this treat is quick to make because we eat them in no time around here. They are so good with a cold cup of milk. I love how cute and bright the colors are, I call it the happy treat. Do you want to know what my kiddos call these bars? Are you ready? I don’t think you are… I’m warning you, it isn’t pretty. OK, they call them Unicorn Poop! Don’t ask me why! In a large saucepan, heat butter, marshmallows, and vaniilla until marshmallows are melted and mixture is smooth. Remove from heat and add cereal and white chips and stir to coat well. Press mixture onto wax paper or greased pan. Here are some other ideas that my kiddos love! Make sure to stay in touch and subscribe below… We don’t want you to miss a thing! Could these be made into large balls (like popcorn ball sized)?? 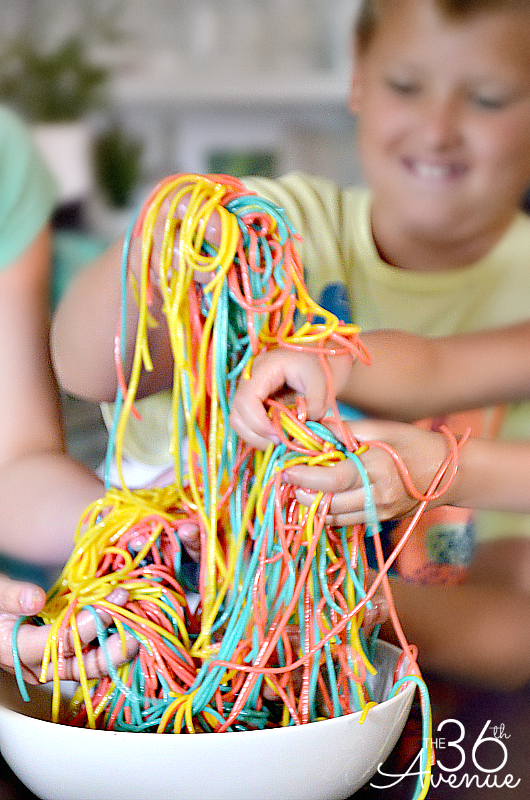 These are some really awesome and very colorful Ideas that look like lots of fun for children! Can’t wait to try some of them out. Thanks for sharing! these treats are sure to brighten any one’s day! 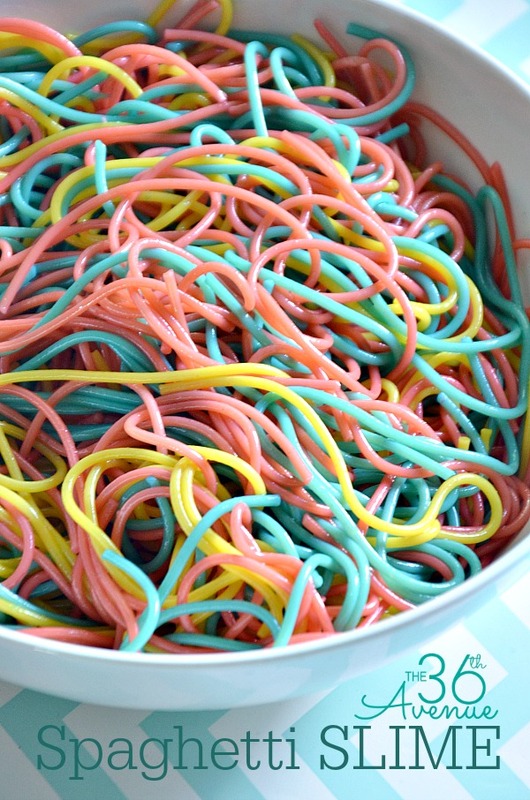 We might be having a snow day Monday, perfect day to make these! Enjoy Dee Ann… They are so yummy! These look incredibly delicious!! I can see why they didn’t last long in your house! These look so yummy! Will definitely have to try out this recipe! 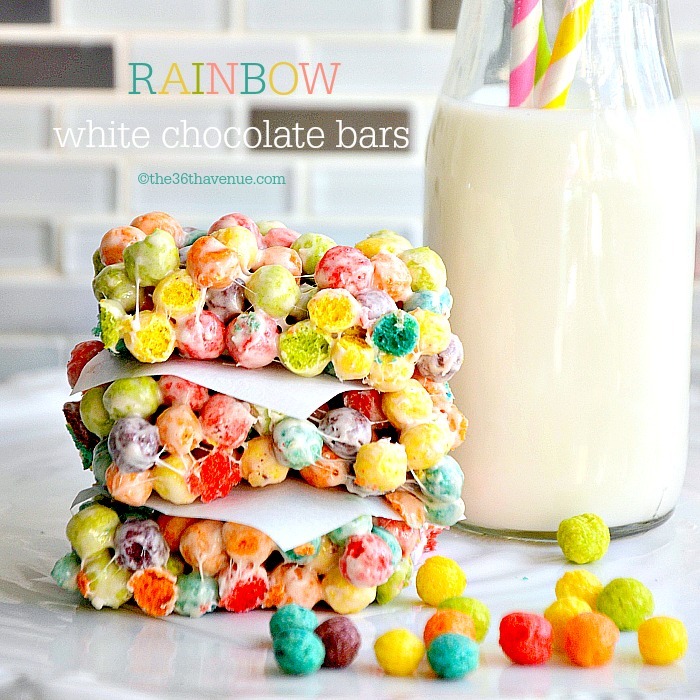 They are delish and super easy to make… Give it a try! Oh my goodness, these are SO fun! these are so cute! 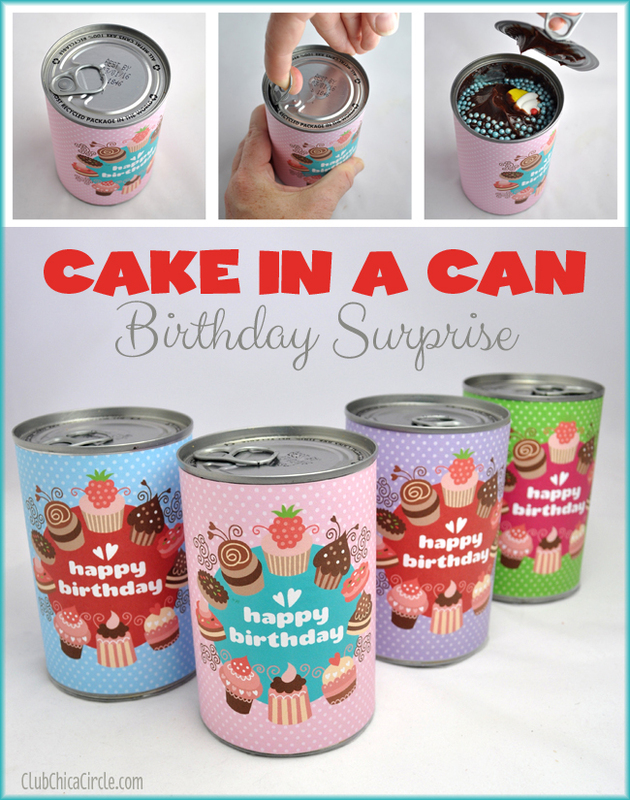 I pinned it for later, my kids would love these! Lauren, they are super yummy! 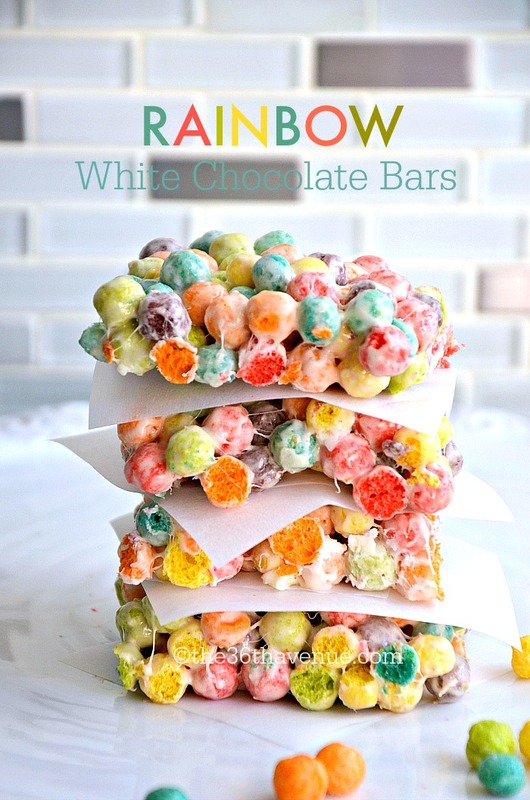 Jenn, we love them too… My kids get so excited when we make them!